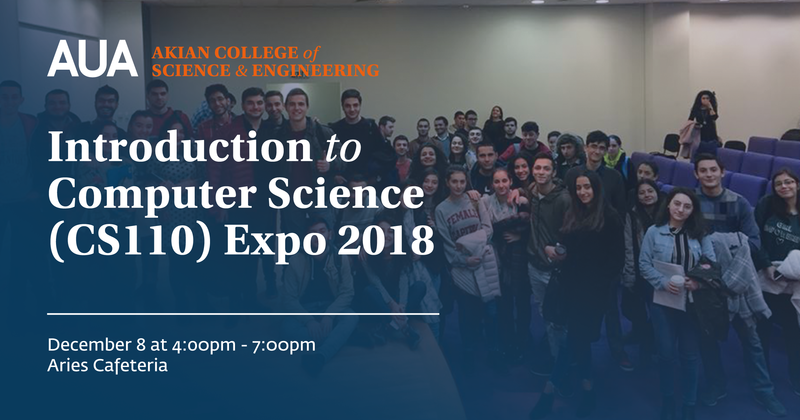 This is a public presentation of the projects made by students of CS110 (Introduction to Computer Science). This is a great opportunity to meet with bright, first-year CS students and see what they have been working on. These students are looking to meet with you. They want internships, career advice and to share their passion for building great things.